Car problems create headaches that no one needs, but when you need auto repairs or routine vehicle maintenance, you need mechanics that you can trust. That’s why there’s Southern Motor Works. For more than 12 years, we’ve been taking care of our customers in and around Duluth like they’re family. 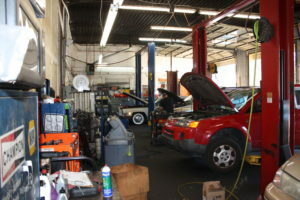 We understand that there are plenty of auto repair shops around town. That’s why we feel the need to prove ourselves every time someone brings us their vehicle. Stop asking your phone, “Where’s a good mechanic near me?” Schedule an appointment with the mechanics at Southern Motor Works today. Our technicians will give you an honest assessment of what’s going on with your vehicle and let you know exactly what it will cost to make the repairs. We’ll give you a time frame where we can make the car repairs and partner with you to help you make the best decision for your vehicle and your budget. At Southern Motor Works, we have the capacity for 7 bays, but when it comes down to it, we’re a one-stop shop. We’re not a franchise or one of the big guys. We’re just the local auto repair shop that’s trying to do right by our customers, make a living, and feed our guys. Ever since the Japanese cars became popular around Duluth, we’ve been perfecting Japanese auto repair for our customers with cars from Honda, Nissan, Toyota, Mitsubishi, Acura and more. When you bring your Japanese car to Southern Motor Works, you can rest assured that your car is in the best hands with our mechanics. Whenever you have issues with your vehicle, you want a few basic things. First, you need straight answers about the problem in terms that are easy to understand. We go the extra mile to explain things so you can not only understand the problems with your car but you can make an informed decision. Next, you need to know that bringing your car to a local mechanic isn’t going to cost you an arm and a leg every time. You need affordable auto repair. We understand this. We give you accurate quotes for every job. Finally, you need to know that your mechanic knows what he’s doing. We put our techs through a rigorous screening and a highly scrutinized probation period. 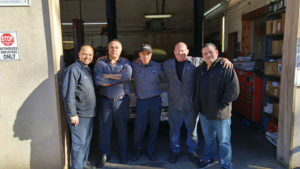 You can trust that our mechanics know their stuff and will do the job right. When you leave Southern Motor Works, you can feel comfortable that you will get the best car repairs in the industry. Our first goal is to use the highest quality parts in the market, but we’re also willing to explore other options if there are budgetary issues. Sometimes refurbished or used parts can work out just fine to get you back on the road. Either way, we’ll help you decide. 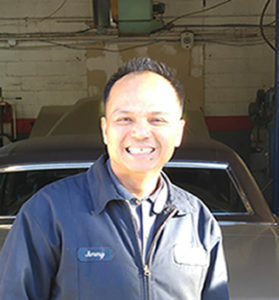 Our mechanics partner with you to help you decide what’s right for your vehicle. People bring their vehicles from all around Gwinnett County. 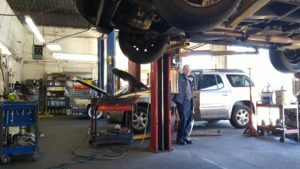 Besides being a local auto repair shop for everyone in Duluth, people bring us their cars for service from Buford, Lawrenceville, Sugar Hill, Norcross, and Suwanee. Set up an appointment with one of our mechanics today! For information about our oil change services Duluth GA, visit her.